Valerian and the City of a Thousand Planets is an independent French film which has been playing in multiplexes across the globe. And though it may be the John Carter sequel that only a few of us wanted, its failures are noble. His use of CGI bursts with character, although Besson falls for the same trap as so many other directors when they inhabit CGI worlds: the camera moves too fast through detailed environments leaving the audience without a geography to grasp onto. Consider Subway, Besson’s early film which views the underground of Paris as an alien land itself. Besson’s budgetary and technical restraints necessitate the use of practiced cinematic technique in order to create a magic between the shots. In Valerian, the lack of such restrictions enter us into Besson’s dreamscape, but make it difficult to follow with the same enthusiasm. Early in the film the pair visit a VR city and one character uses a device to control the movements of a CGI alien. That alien being created through motion capture, its an absurd but quite thrilling metatextual wink that is quickly brushed over, the film favouring plot above ideas. Later on there is a spellbinding sequence in which Delavigne is put into a device which replays to her the events of the film. 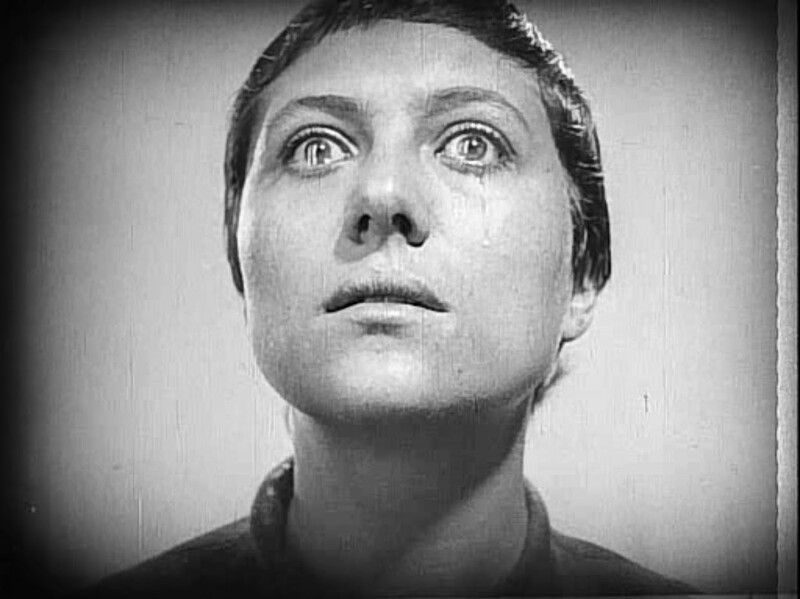 Only they are presented to her, whose head is shot looking upwards in tight close up, like 2001 or Passion of Joan of Arc (which Besson famously remade), as clips from the very film you are watching. She is enraptured by the cinematic majesty before her, her dreams and hopes and fears and desires reflected back to her. Then the film continues with its plot machinations. Besson’s last film, Lucy, similarly oscillated between madcap action and meditative high concepts, but it did so at a reduced running time, a great sense of pace and a simple narrative ticking clock. It is, in essence, one of the best action films in recent memory. Valerian, on the other hand, genuinely falls apart whenever anyone opens their mouth. The major flaw is in casting: Dane DeHaan and Cara Delavigne are hardly proven actors but the unique presence for both actors lies in their disinterested persona. Their pairing actually creates a charisma vaccum, where their total lack of chemistry makes it difficult to follow scenes because they are so obnoxiously delivered. Often it seems as though they aren’t talking to each other, that different takes are being used for each shot. There’s an entire article that can be written about the way that Valerian treats women and is celebrated by Besson for his behaviour. He literally harasses Laureline until she gives in. That’s pretty much the arc of the movie. It’s a relationship makes the Jurassic World Chris Pratt/Bryce Dallas Howard material look like Grant and Hepburn. The Rihanna sequence will make the heads of many a 14 year old explode but for anyone interested in her acting potential following the Bates Motel appearance this will surely be an underwhelming turn. Admittedly, the source material is a bande-dessine from the 70s, and Besson unashamedly aims for throwback kitsch, but there isn’t some post-ironic layer to this relationship, its just another regressive blockbuster. . This kitsch is surely the very reason that the film exists, and it makes its aims clear with an opening sequence of human space colonialists meeting many alien species and offering the hand of diplomacy, while Bowie’s ‘Space Oddity’ plays. It announces the film as old-fashioned, a Nostalgia Picture not in the sense of our current memberberries culture but in the sense that George Lucas aimed for with his first Star Wars picture. But modern audiences are not as well versed in the rhythms of Buck Rogers, so the dichotomy of narrative form and visual achievement draws one out of the picture. The dedication to Besson’s father at the end is a signifier of his motivations behind the project, however. So Valerian is only a very interesting film when viewed in the auteurist sense, as a progression of Besson’s style and a meditation on his personal interests. But if the personality of this divisive director is of no interest to you, then Valerian will seem very superfluous indeed.